At this spooky time of Halloween, if you’re looking for a glowing complexion and super moisturised skin, the Neroli Skin Clearing Toner from Skin79 could be perfect for you. Note: This toner is so good, you might end up falling in love with it. A lot. Autumn can accentuate my dehydrated skin and wreak havoc with my obsession of having a chok chok glow. Needless to say, I’m always keen to replenish the moisture levels in my skin. 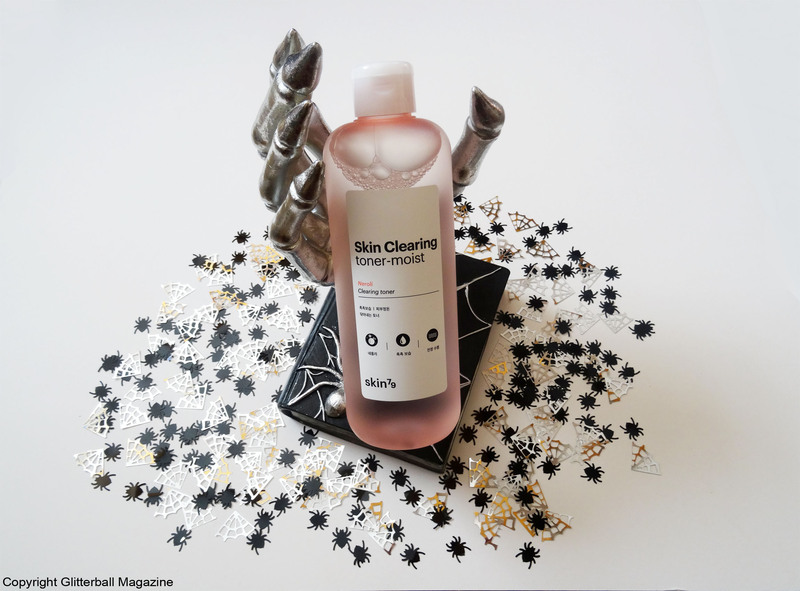 I picked this toner up during one of my many trips to TK Maxx and couldn’t wait to try it. The Neroli Skin Clearing Toner gently removes any remaining residue from my cleansing oil without being harsh. It immediately boosts my skin and adds much needed moisture. My skin feels clean and ready for the next stage in my routine, morning and night. This toner is an absolute pleasure to use, it has a lovely texture, with a water/light gel consistency. I normally use a few different toners and prefer using this as my second, third or fourth toner to really seal all the layers of moisture in. The Skin79 Neroli Skin Clearing Toner is perfect to use if you have a multi-step routine. After applying a small amount to a cotton face pad (you can pat it onto your face with your hands but the formula is a little runny and I hate wasting beauty products!) it’s absorbed within a matter of minutes and I’m ready for the next step in my beauty regime. 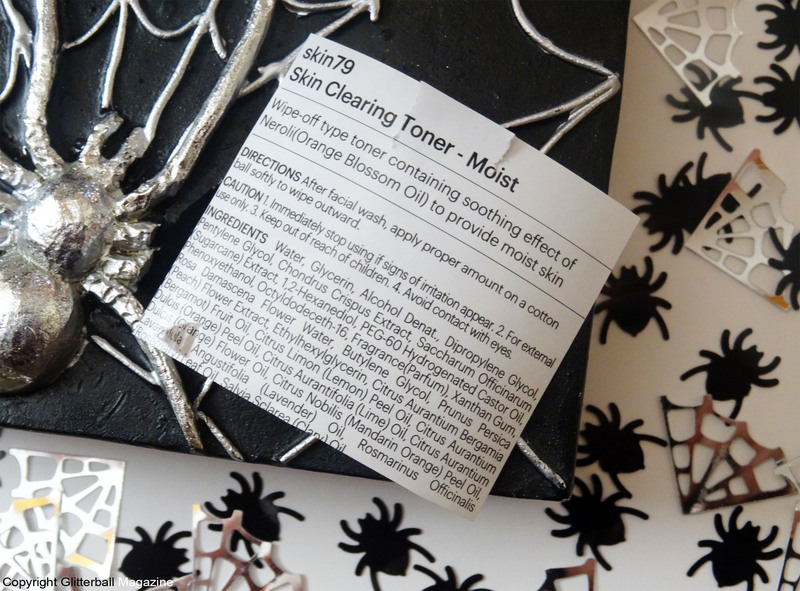 This toner has a fantastic ingredients list. Neroli helps to brighten, hydrate and soothe skin, making it ideal for dry/dehydrated skin. If you have redness/rosacea, you’ll be pleased to know it also contains salvia sclarea (clary) oil to reduce any inflammation. Fans of sun cream will LOVE the inclusion of chondrus crispus (seaweed) because of its ability to protect skin from harmful UV rays and promote a healthy complexion. Extracts of anti-inflammatory rosa damascena flower water help reduce skin irritation or redness in addition to removing excess oil and clearing out clogged pores. Rosa damascena flower water also moisturises skin. Prunus persica (peach) flower extract is a wonderful anti-oxidant ingredient to protect skin from UV rays, with vitamins C and E contributing to the elimination of harmful free radicals that can cause accelerated ageing. The minimalist design of the bottle is understated but gorgeous. I love the matte finish. Overall, I’m very impressed with the Neroli Skin Clearing Toner from Skin 79. I’d definitely buy it again!